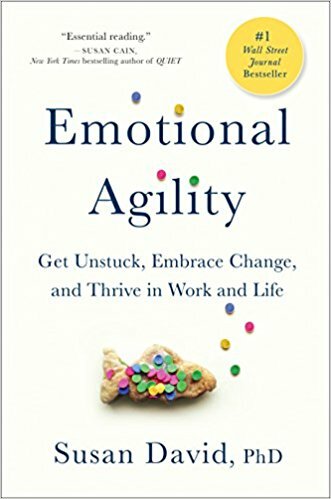 MicroSummary: ‘Emotional Agility‘ can be considered a manual for a complete behavioral change. It is normal that at some point in life, everyone may need this kind of change. This book will explain how our past emotions and experiences influenced us. The key to learning to deal with your emotions is, first of all, not to ignore them but to understand what they mean. Seeking to think beyond the present is also essential. We must think how our attitudes influence our future. Are we acting according to our projects and life goals? Do we deny our beliefs to be accepted? Learn to work differently and reach your full potential. Find out more about having a well-developed emotional intelligence with this reading! Everyone goes through periods of change and uncertainty in life. During these times, we will probably experience many emotions. Nevertheless, we learn from an early age that negative emotions such as sadness, anger, and fear are bad. When you think of the various emotions humans are capable of feeling – fear, joy, sadness, guilt, contempt, deception – you realize that most of them are considered “harmful.” If we are meant to be happy then why do these “negative” emotions exist? We are told to “think positively, ” and we are busy trying to overcome those expectations that we stop listening to our own emotions. When you give a false smile or force yourself to be happy, you are ignoring vital signs that exist to guide you in the right direction. Fear, for example, may arise to give you a warning. If you were not afraid, you might think jumping off a cliff is a good idea. Negative emotions are not the problem. Rejecting their existence or considering them excessively negative, on the other hand, are one of the biggest obstacles to our emotional development. We deal with this type of emotion in one of these ways: keeping all the emotions or worrying too much about them. The person who holds on to their feelings seeks to “ignore” them all, which leaves them suffocated until they explode in unhealthy ways. An over-concerned person, on the other hand, overanalyzes emotions, worrying about everything in a vicious cycle, until sinking into thoughts. These two techniques are detrimental to your emotional well-being and often cause problems in your relationships at work and home. Take a step back. Create distance and see the situation more clearly. Let it go. Accept your decision and go ahead. Each emotion is felt for a reason and only after we actually allow all our emotions will we learn how to live to the fullest and we can be true to our personal values and goals. Every day we make decisions, and most of them are influenced by our emotions. We usually validate our decision by saying that we have an “intuition,” which may be true in some cases. However, the problem with this approach is that our emotions are not always reliable. That ends up influencing our daily decisions since we can dismiss a talented candidate in an interview for being a bit dramatic or avoid taking on a new project that could lead to a promotion because we do not believe we are capable. We are stuck in these old stories, and we need to learn how to detach ourselves to deal with real situations. Do you know how to differentiate an intuition from an automatic response based on a past experience that was triggered by fear? Apply the four steps we mentioned earlier to a current situation that you found stressful. For example, you learned that a work project that thrilled you would not happen because of budget constraints. At first, you feel angry. Your instinct is to give up and start looking for other jobs. Instead, take the time to “be present” and realize that this situation had triggered a memory of a time in the past when you were devalued and lost your job. You can then take a step back and realize that your boss simply has no money now and that the company values you enough to tell you personally about the situation. So, now, you feel disappointed and no longer rejected. Instead of being angry, you decide to express this disappointment in a constructive way. Following the four steps explained above will help you differentiate intuition from fear and gain clarity to face the situation in front of you. You can then decide what attitude will take, and move on knowing that you have made the best decision for you. Insensitivity is the act of living without any perception or awareness of the people or the space around us. “Mindfulness,” or mindfulness, has become an expression of fashion, which means living in the present and having a connection with yourself and with the people around you. You do not notice when things are wrong. Find a song you like and listen to it like it’s the first time. That will help you gain more insight into events and how reactive you are to imaginary facts. When we are feeling strong emotions such as sadness or fear, it ‘s hard to “distance ourselves.” In those hours, you feel that the world is ending. Only you can see how things are going wrong and can only believe your thoughts. Becoming more aware of your world and living the present is the best way to get away from your emotions and to see them with compassion and curiosity. Do you usually follow the flow, follow the crowd? Many people do, because this causes instant gratification, helping us to belong to the group and allowing us to enjoy life with less personal responsibility. The problem is that such behavior is not compatible with any sense of purpose or long-term happiness. That will lead you to live a life based on the values of others you do not support and will put you on a path that does not help you reach your personal goals. One of the culprits for this type of behavior is “social contagion,” which is particularly common in the workplace. Let’s say your coworkers like to talk about your boss over lunch, and you usually take part in the conversation, talking about all the difficulties you have at work. When you return to the office, you do not feel any better because you are not respecting one of your core values, which is to appreciate your work and work to be promoted. Which situations make you feel good? What kind of relationship would you like to have? If your life was a movie, what would it be? Now consider your daily attitudes at home or work and reflect on whether they support those values and help you achieve your goals. The idea is to be so connected to what you want and what you value, that you will no longer feel the need to self-sabotage or behave destructively. Instead of following the steps and ideas of others’ happiness, it’s time to think about what you want and set your own version of happiness. When you discover and reconnect with the things that really matter to you, your daily decisions will be much easier. You will also be able to set your own version of success and leave social comparison. We often make dramatic decisions when we want to change things: job changes, careers, or city changes. In some cases, such attitudes may be necessary, but sometimes they lead to frustrations and fears. Instead, try to work with what you have and make small changes that will be useful now and in the future. There are three key areas that you can change to generate a positive and lasting attitude in your life: your mindset, your motivations, and your habits. For example, if you make a small change in your mindset about your attitude to exercise, you may not feel guilty about not attending the gym. Think about all the activities you do during the day, such as cleaning the house, walking to work, walking your dog, running after your kids, shopping or walking around the city. 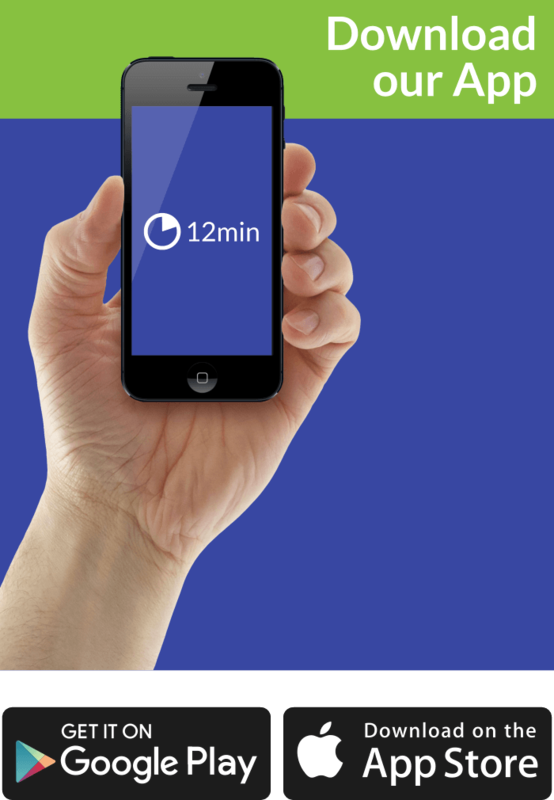 Better yet, try downloading a step counter on your phone and see the results. Rethinking all these activities will reduce your stress levels, leading to a decrease in blood pressure and even weight loss as you are less tempted to seek comfort in food to relieve your guilt for not attending the gym. To adjust your motivations, the key is to stay connected to your personal values and not to focus on what you want now in search of instant happiness. Expanding your vision for long-term motivation will help you naturally adjust your bad habits. For example, if you are trying to have a child, train a marathon or want to live longer, then smoking no longer makes sense to you. Instead of fighting a losing battle with your negative feelings of guilt or shame, seek to reach out to the things that are most important to you. Small changes may seem insignificant in isolation, but they contribute to a larger and more inspiring story. Improving your beliefs, motivations, and habits in the present can have a lasting impact on your life and help you move forward, changing not only the now but also the future. The easiest way to overcome the ups and downs of life is to have comfort in what is familiar. The hardest way is to challenge yourself and do things that make you uncomfortable. The best way is to strike a balance between being very comfortable and being very challenged – and only you can figure out how to do this. We all like to be close to what is familiar. The problem is that if we only do things that we have done before, we have not learned anything new. That can lead to boredom, self-doubt and, in some cases, depression. That does not mean that you should book now the next trip to Everest. You just have to find a healthy balance between comfort and challenge. Will this help me be the person I want to be? I like what I’m doing? Can this quest really be a success? If you answered no to any of these questions, then it may be time to rethink what you are doing. So the next step is to accept that there is a difference between persistence or passion and blind determination. The key is to pursue the challenges that help you now and in the future and also have the courage to give up those who have no relation to your purpose. When you can do this and find a balance between comfort and challenge, you will have a renewed sense of purpose, energy, and enthusiasm for life. Facing the difficulties of life can be difficult, and that is why we suppress our emotions until they lead us to destructive behavior or worry until we drown in our own thoughts. Often our automatic emotional responses derive from previous negative experiences, which leads us to make bad decisions. We need to recognize our repetitive patterns to get a better perspective on situations and observe what is actually happening. This clarity helps us make better decisions without being influenced by the bad experiences of the past. 12min tip: Working your emotions and your balance is a good idea, although it is not always an immediate concern we have. Precisely by valuing this type of mental work, we have a particular session on Motivation and Inspiration. Visit the page and choose the next microbooks for your library right now.